I am a firm believer that we do need to be aware that it is not always possible to get all of the required vitamins and nutrients from diet alone. And even with excellent healthy eating, there will be some elements lacking such as Vitamin D due to lack of daily sunlight if perhaps we work indoors on a daily basis. Personally, I have always been quite religious about taking supplements so when I was invited to an event by Lockdown PR just before Christmas, about that same topic, I was delighted to attend and very grateful to Emer & Viv for the lovely invitation. The timing of the event was perfect – right before the busy Season when we are all running and racing – and more often than not, burning the candle at both ends with social engagements. 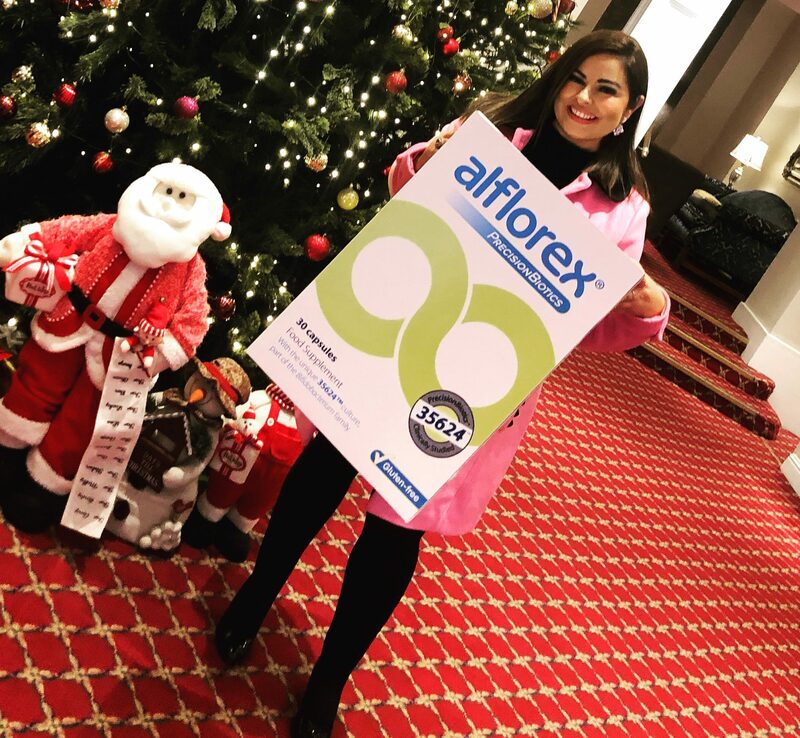 The breakfast event took place in the recently refurbished Metropole Hotel in Cork City and was for Alflorex and Zenflore. I had heard of Alforex before I attended the event. Friends of mine who had suffered with from mild to severe abdominal issues such as cramping, IBS symptoms etc. had been recommended to take Alforex by their GP’s and also by Gastrointestinal Consultants to relieve symptoms. Zenflore, on the other hand is a complete support for mind and body during times of stress. It is rich in Vitamin B which help to reduce tiredness and fatigue. As I was having major abdominal and pelvic surgery in January, I knew that my health would be at an all time low and also my resistance would be really low post op. 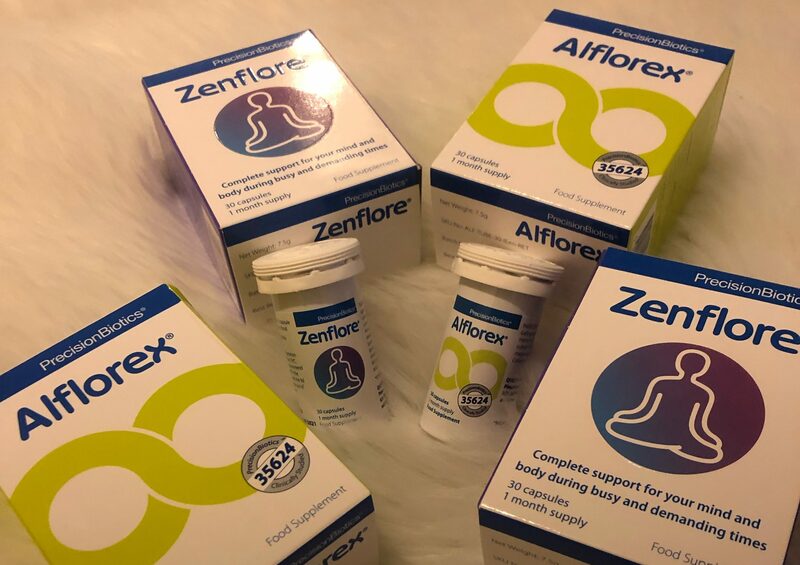 I began taking both Alflorex and Zenflore in December – and I am now taking them post op to assist with the side effects of taking heavy pain relief. Personally, I do feel that my gut is doing really well, especially considering the fact that I have had major surgery, my eating was very disrupted for quite a few weeks and the high level of morphine based pain relief that I have been taking. I am definitely going to continue taking both products as I do believe that it is so important to maintain a healthy gut for optimum physical health. The great thing about Alflorex is that, you can notice a difference in your gut quite soon after taking them. 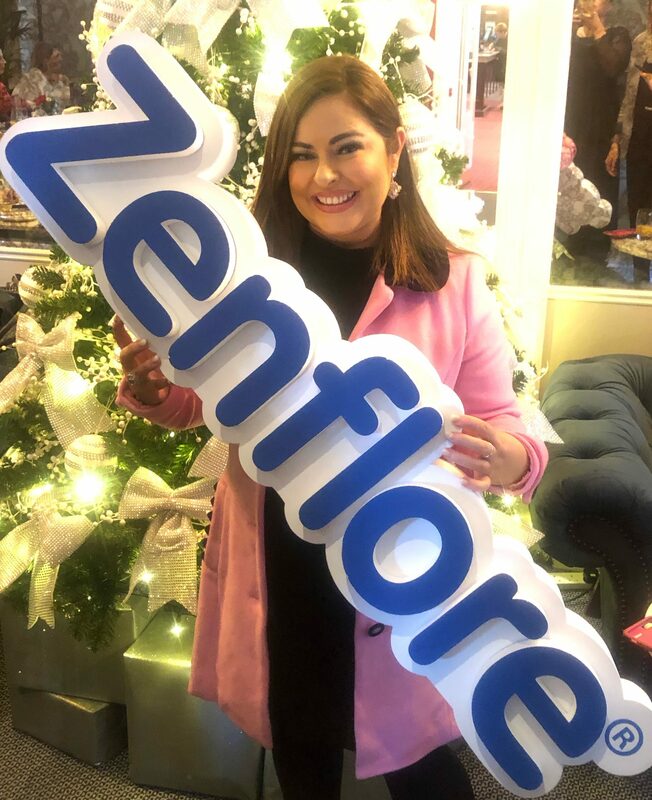 Both Alflorex and Zenflore are available from most pharmacies and I found a link (not an ad) where you can purchase them here.